Day 8 of the biggest ever Partypoker Powerfest brought not one, but two big events with a 1 Million Dollar Guarantee! 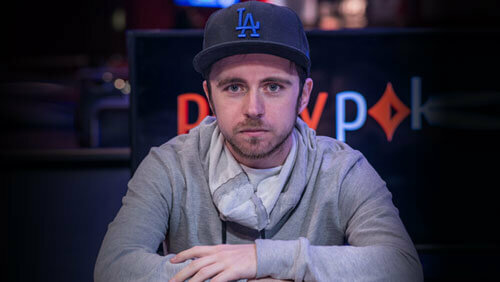 All eyes were on the $5.200 PKO, which brought the crème de la crème of the online poker world to the virtual felt. 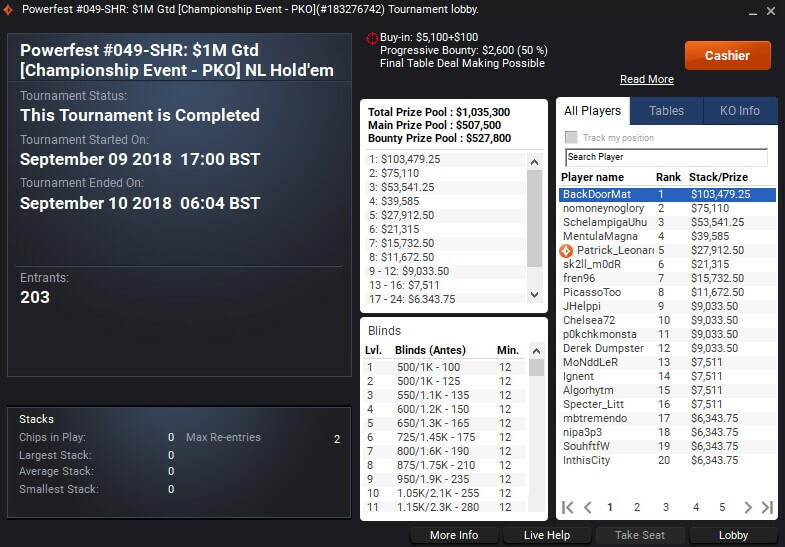 While high roller reg “Chelsea72” bubbled the Final Table, Patrick Leonard and “SchelampigaUhu”, rumours have it that this is the Partypoker account of Ole Schemion, made it to the final. Pads busted in 5th for $27,912,50 and “SchelampigaUhu”took home $53.541 + $15.071 in bounties for his third place. BackDoorMat shipped the PKO for a staggering $228.177 ($103.479 + $124.698 in bounties). Basically all the Championship Events are the big highlights at the Partypoker Powerfest and the next one is already taking place tomorrow at 6 pm CET. It will be a $5,200 NHLE Super High Roller and you can still qualify on the cheap via online satellites , which are running around the clock at Partypoker. Get $40 FOR FREE in Powerfest Tickets! Online Satellites for the Championship Events are running 24/7 at Partypoker and start from only 1 Cent! So what are you waiting for? Head over to Partypoker now, sign up and get $40 FOR FREE, start grinding the Powerfest Satellites and turn your ticket into a fortune! By the way you also have the chance to win FREE Powerfest Tickets in our Competition of the Week.